Tucson’s real estate market is hot! Its no wonder. Tucson is the best place to live in the U.S. (warning…I might be biased!) Tucson is growing and everyone wants in. I’ve put together this guide to help you find the home you want and to introduce you to Tucson and all it has to offer! 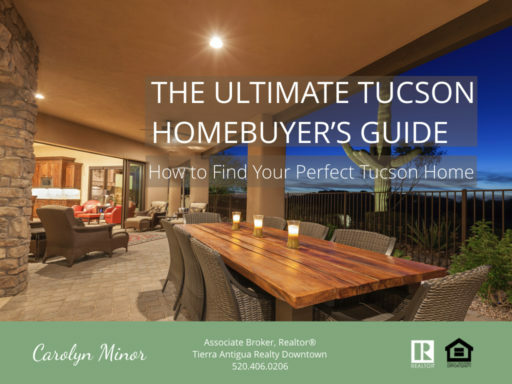 and much, much more…this Homebuyer’s Guide contains 30+ pages of info to get you on your way to finding your home in Tucson!